Nowadays with rise of websites offering discounted holidays we are all on the look out for bargain price for luxury get away. And inspired by this trend and the fact that there are only 10 sleeps left until I leave London for 9 days of sun, sea and partying, I decided to compile 3 perfect holiday outfits that are all about bargain and luxury. And there is no better place to look for such combination than my favourite discounted designer website TheOutnet.com. Below I put together a comfortable outfit for travel purposes which originally cost £1653 but is now yours for £734.15 giving you a 56% discount; hot beach or pool ensemble which was £1349 and is now available to purchase for £633.20 giving you a 53% discount; and a summery party outfit that will get you ready for tropical cocktails and holiday romance originally at £1305 but currently with The Outnet discount of 56% at £568. I hope this post will leave you feeling ready for holiday and inspired to create your own fashionable outfits. Check out TheOutnet.com for thousands more discounted designer pieces. 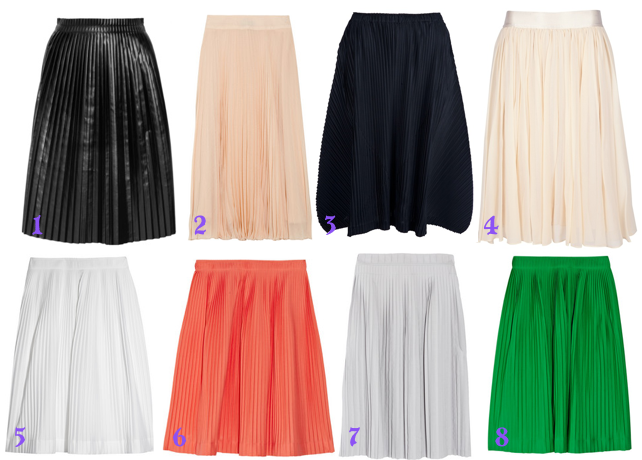 For as long as I remember there only ever been 2 lengths of skirts in my wardrobe – either maxi or mini (to tell you the truth the majority are mini and I am sure I am not the only one). Calf length aka midi skirt would only be associated with black and white photos my grandmother used to show me of her youth. 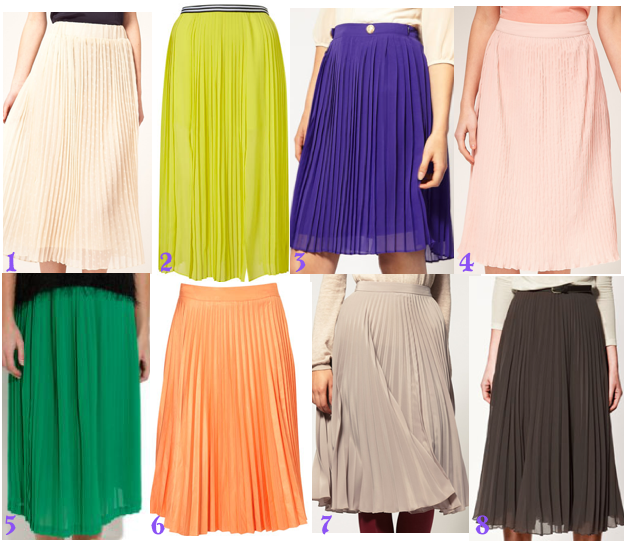 But now it is time to forget that association and welcome the new fashion piece into our lives (and wardrobes) – Chiffon Pleated Midi Skirt. Slight fascination with this particular item started on a few catwalks for autumn winter 2011 season, but by spring summer 2012 pleated midi has repositioned itself from charity shops to everyone’s fashion wish list and it seems it is here to stay! The item is so versatile, as you can see from the catwalk looks above, it is likely to become a wardrobe staple: you can wear it on leisurely walk, to a work meeting, during cocktail hour and pretty much everywhere else by teaming it with different tops and accessories. And did I mention it looks as good with flats as with heels? My favourite way to wear one this season is to pick one-colour version in either bright or pastel shade, team it up with oversized T-shirt and add randomly put together long chain necklaces. And if you are not afraid to experiment team up socks with wedges à la Mulberry campaign and you are ready to rock it! The best thing – there is such a wide range to choose from whether you are looking for designer item or cheaper way to adopt this trend. 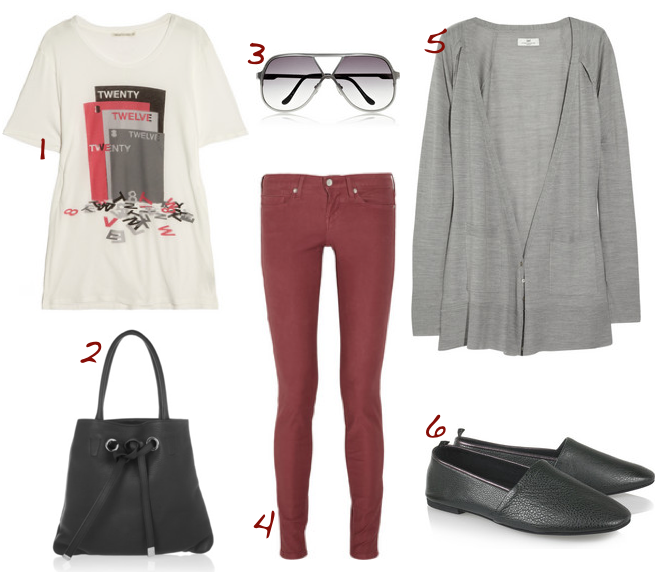 My favourites are those by Jil Sander which come in so many colours you would not want to look anywhere else. 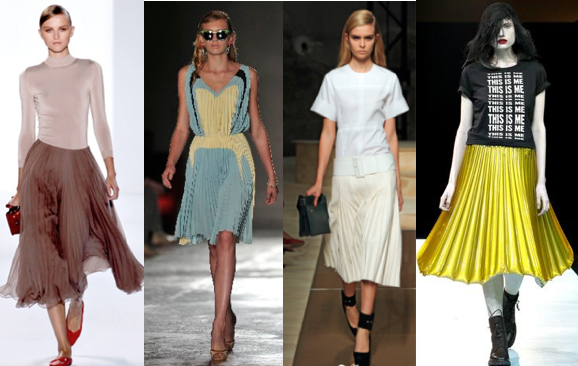 Bellow are my designer and budget picks for joining on the hot trend of Spring Summer 12! I am absolutely obsessed with Rebecca Minkoff Abbey Biker Jacket (top picture). It has a great combination of textures: leather, wool and fur. And it is definitely on trend with contrasting leather sleeves! My favourite part is how easy it is to create an outfit around it – just throw on black skinny jeans and ‘tough’ dark leather boots for an outfit with attitude. Or wear with a single colour maxi dress for an edgy feel! However you do it, it is obvious the jacket will get a few wears to justify its price tag of $998 (£635 from http://www.rebeccaminkoff.com). But if you are looking for a bargain with similar textured features and biker feel, opt for Black Faux Fur Jacket from Diamond By Julien Macdonald for Debenhams – just £65! You are currently browsing entries tagged with designer at MY FASHION WISH LIST.